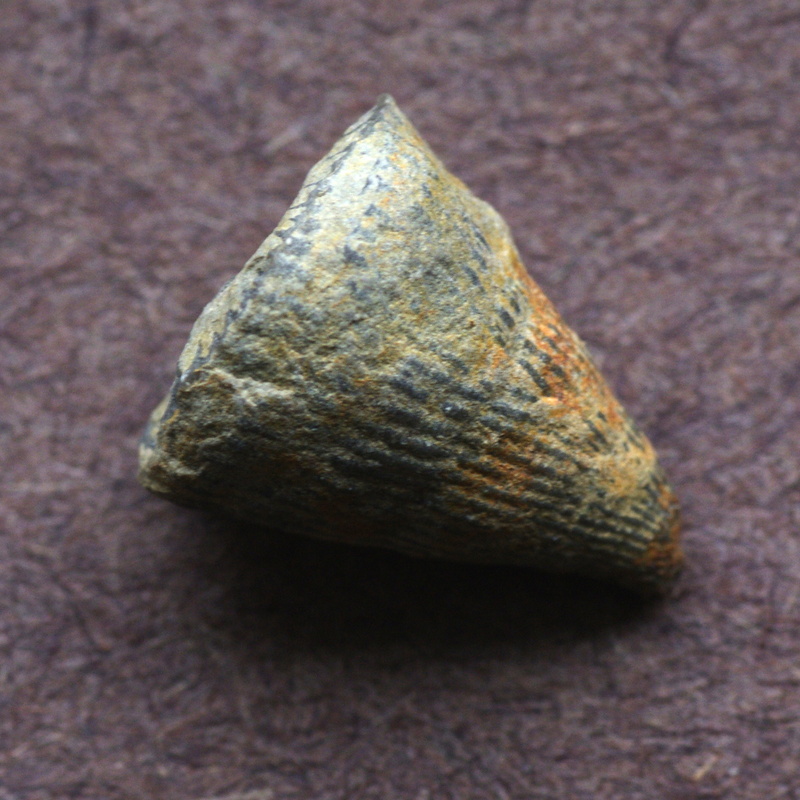 As I began to do research for my recent illustration showing Silurian environments of Ontario (see previous post), I soon came across the excellent website Primitive Worlds – a site that shows many exquisitely-preserved Rochester Shale fossils from a private quarry near Middleport, NY. I corresponded with a couple of the quarry collectors who shared more photos with me, and I in turn licensed part of my illustration for the new book the collectors put together about their Rochester Shale fossils. This collaboration led to an opportunity for me to visit the quarry, a short road trip I made this past weekend. The quarry is in an idyllic location for fossil collecting; it’s surrounded by trees and is set back from the road so (when the heavy equipment and rock saws aren’t operating) it’s quite peaceful. The group of collectors who use the quarry have established a relationship with the property owner; the quarry is not open to the public. I felt fortunate to have been invited there. As you can see from the photos, there is water on the ground and the sky is gray; I chose the coldest, rainiest, day of May to schedule my visit! 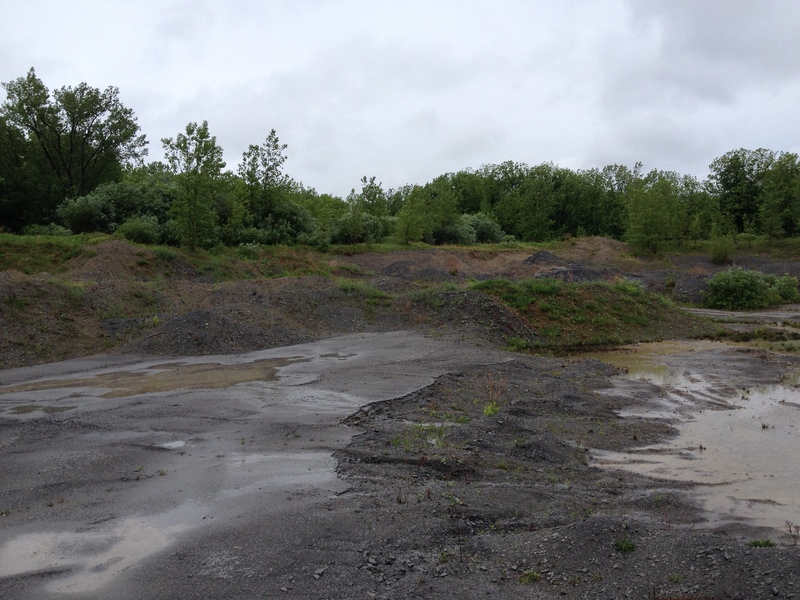 Normally, I welcome cloud cover and cool weather if I’m going to spend the day crawling around a quarry collecting fossils, however, the constant rain combined with the unseasonably low temperature made things pretty muddy and uncomfortable. Because of the weather, I didn’t do nearly as much collecting as I would have liked, but I still enjoyed the experience and I didn’t come away empty-handed. Here are a few of my finds. 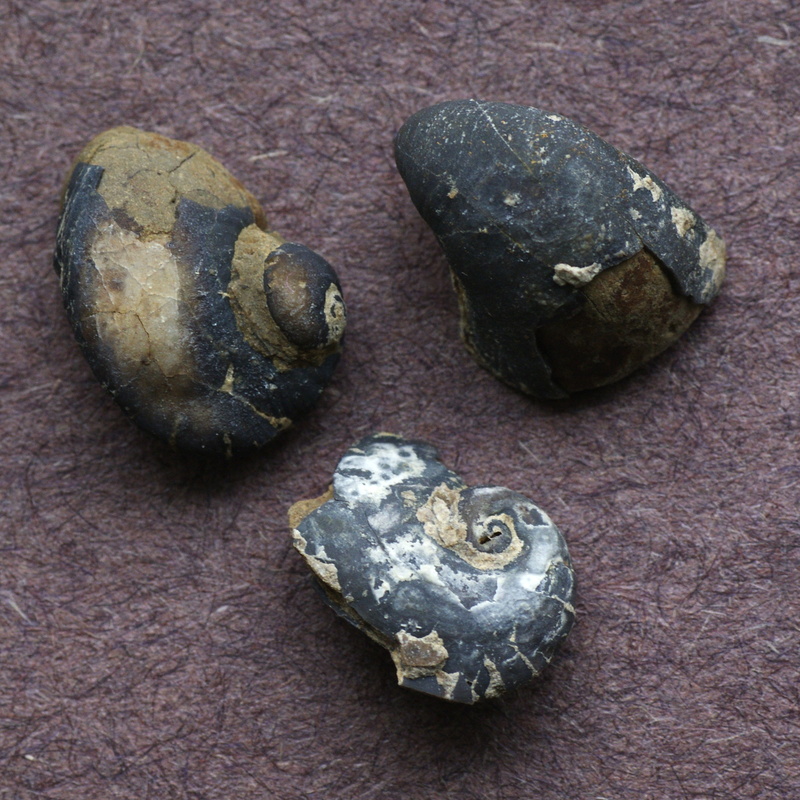 These are common fossils from the quarry; nothing rare or especially remarkable. It’s about what I’d expect for an hour or two of surface collecting in an unfamiliar place. 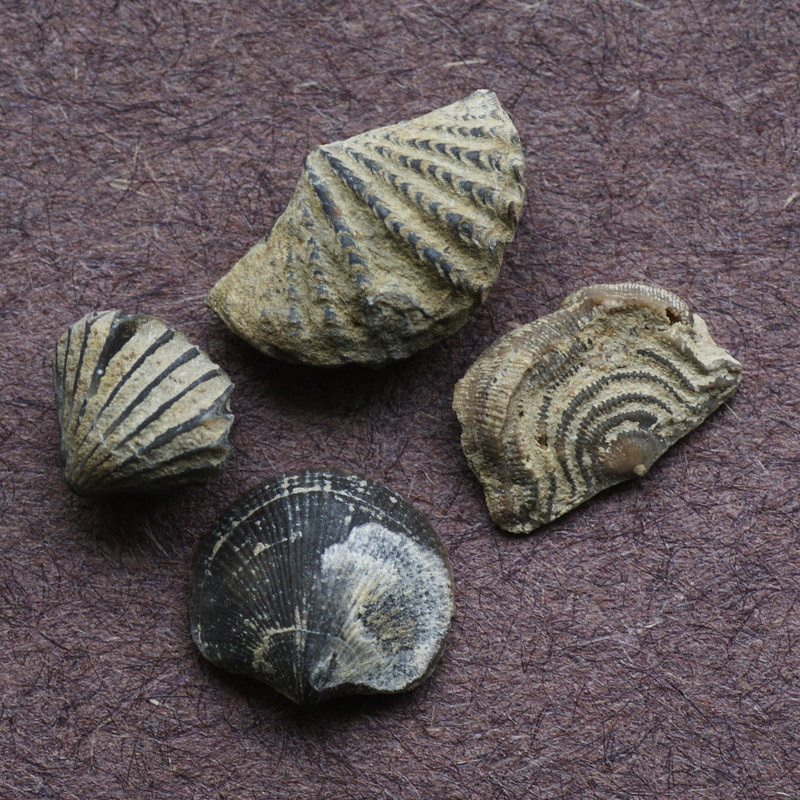 My photographs of the fossils are nowhere near as good as the photos Paul Chinnici carefully created for the aforementioned book. 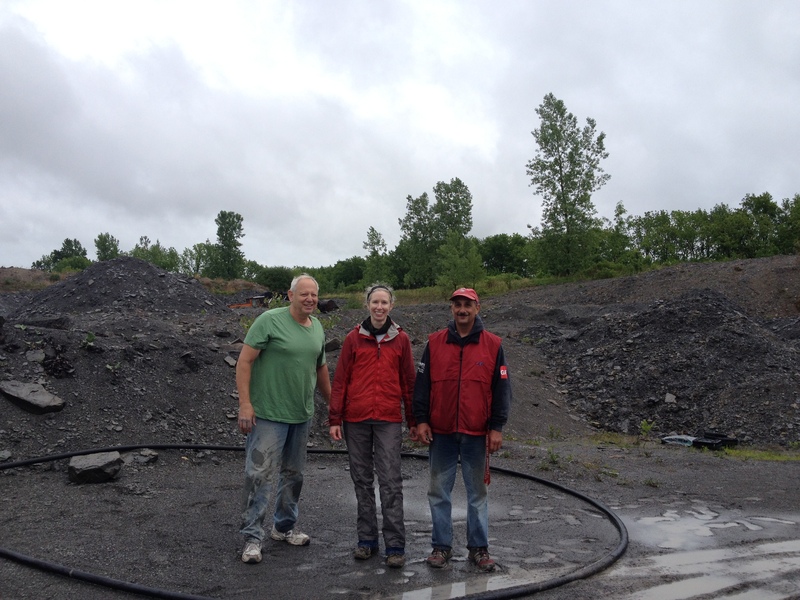 Paul and Kent Smith, the other author of The Silurian Experience, kindly braved the chilly drizzly day to show me the quarry. 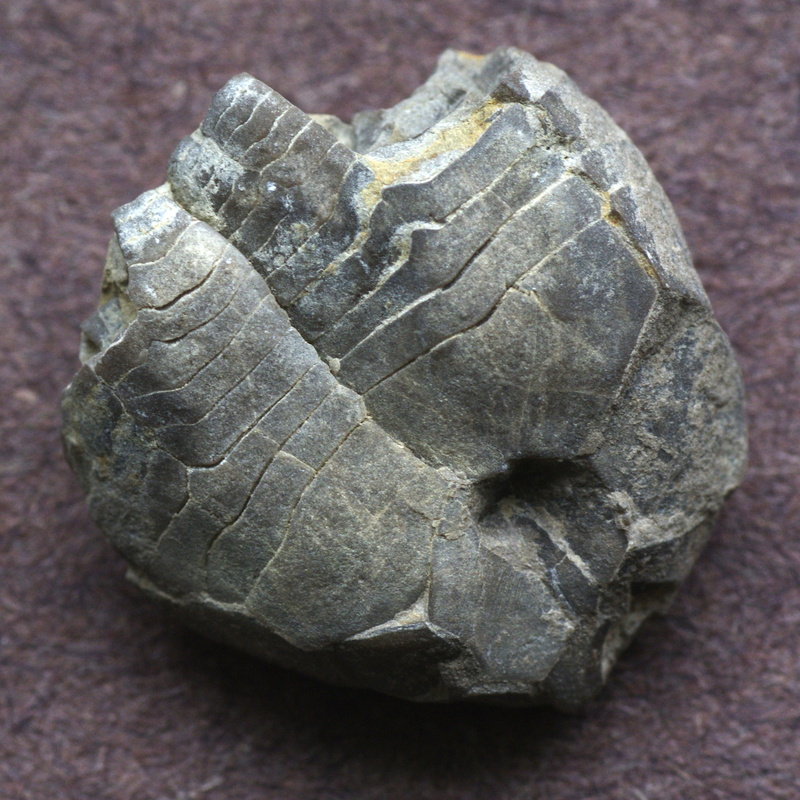 Over the years, Paul, Kent, and the other Caleb Quarry collectors have amassed a hard-won knowledge of when, where, and how to extract the various fossils in the most effective ways; it was interesting to hear about their methods. Kent, myself, and Paul. I can’t believe Kent was wearing short sleeves! 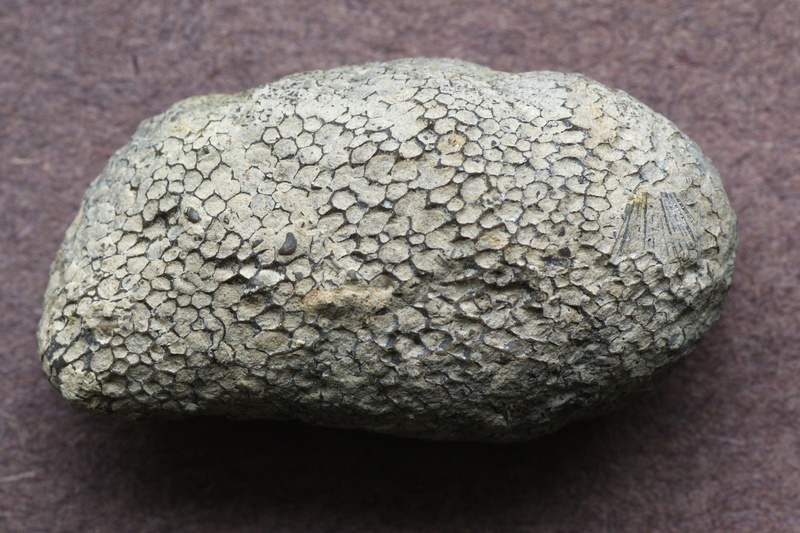 The book The Silurian Experience is a real labor of love and would appeal to paleontologists as well as collectors. It’s available in hard cover or spiral bound format here. 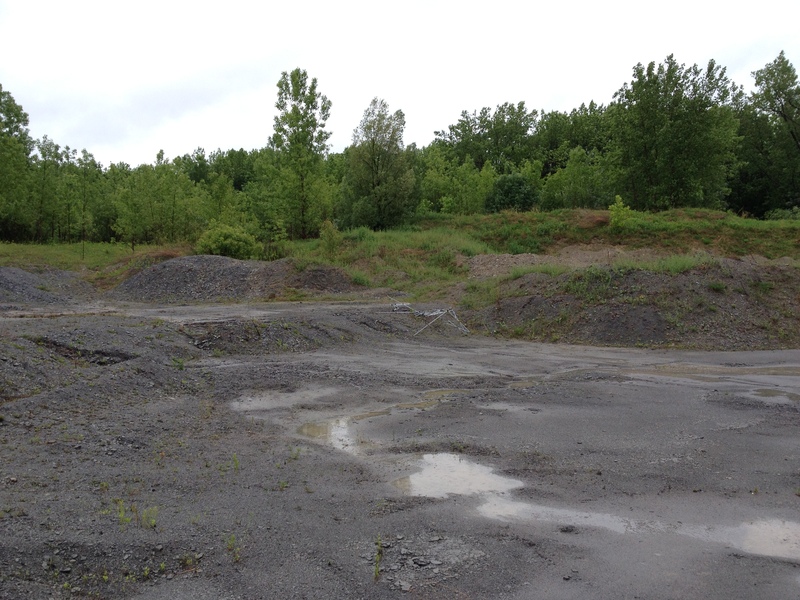 Not only does it contain many high quality photos of the quarry’s fossil fauna, it also includes a chapter written by paleontologist Carlton Brett about the stratigraphy and paleoenvironment of the Rochester Shale. Dr. Brett has an incredible breadth and depth of knowledge on the subject, as well as on other formations of the Niagara Escarpment; he gave me invaluable assistance as I prepared the illustration of Silurian environments. I’ll say more about the illustration in a future post.